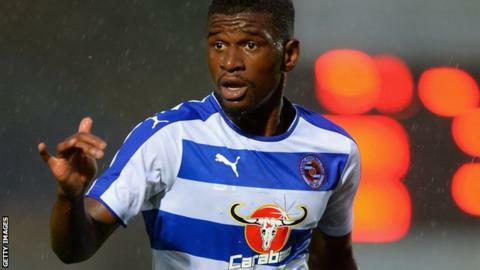 Midfielder Aaron Tshibola has signed a new contract that will keep him at Championship club Reading until 2019. The 20-year-old has featured in every match for Reading so far this season. Academy graduate Tshibola made his debut last season away against Nottingham Forest before a loan spell with League Two Hartlepool United. "I'm really delighted to be secured down until 2019 and I can't wait to see the next challenges the future brings me," he told the club website. "The plan is to continue striving and learning and push on from here and take those lessons into my game." Manager Steve Clarke added: "Aaron will be an integral part of my plans for this season and fully deserves his new contract."